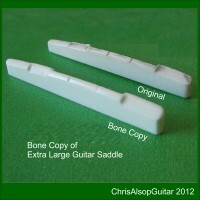 We make over sized saddles guitars in bone for all types of guitars. 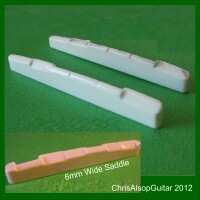 T he saddles are hand made from high density cattle bone. These saddles are renowned to give excellent tone, playabilty and instrument projection.